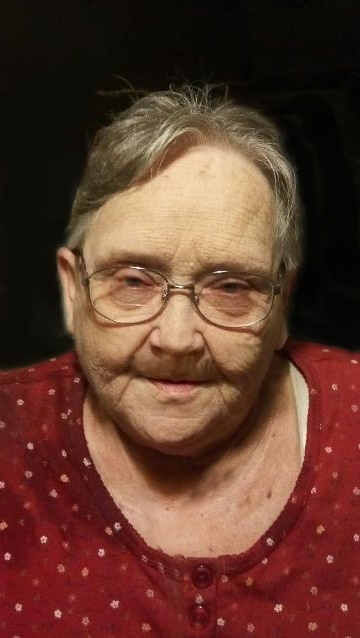 Shiela D. Parks, age 71, of Upper Sandusky, Ohio, passed away on Friday, April 12, 2019 at 2:00pm at the Fairhaven Community in Upper Sandusky. Shiela was born on June 11, 1947 in Kenton, Ohio to Thornton Jr. and Betty (Shaw) Cooper-Billock, both of whom are deceased. She was first married to Rich Albert, then married Raymond Clayton Parks, and then was married to Jack Bayes, all of whom are deceased. She is survived by a son, Randy (Sara Lima-Sanchez) Parks of Upper Sandusky, and a daughter, Becky (Jeff) Parks-Adkins of Upper Sandusky. 11 Grandchildren: Devin (Britnee Sewell) Manns, Derrick (Mandy) Gault, Jacob Hill, Hannah Adkins, Tabitha Adkins, Austin (Chelsay) Hall, Dalton Parks, Dylan Parks, Alexis Reeves, Estefani Lima-Sanchez, Rosa Lima-Sanchez, along with 5 great grandchildren: Adalie and Caiden Gault, Owen Manns, Liberty and Remington Hall. Shiela is also survived by a brother Dennis Cooper of Upper Sandusky, and a sister, Ruth Miller of Wharton. Shiela was a homemaker and worked as a bartender for over 30 years in Lima. She also had worked for U-Brand and Carey Plastics. She enjoyed serving as a scorekeeper with the Sycamore Softball and Upper Sandusky Softball Associations. She also enjoyed playing bingo, and also poker with her family, along with a cup of coffee with her brother and family. She will be remembered for her love of her family, of which she enjoyed spending time with, including her grandchildren and great grandchildren. She will be greatly missed. Funeral services for Shiela Park will be held at 1:00pm Tuesday, April 16, 2019 at the Lucas-Batton Funeral Home in Upper Sandusky, with Rev. Jake Reel officiating. Burial will follow at Wharton, Richland, Union Cemetery. Visitations will held on Tuesday, from 11:00am to 1:00pm at the Lucas-Batton Funeral Home in Upper Sandusky. Memorial contributions may be made to Hospice of Wyandot County or the Wyandot County Council on Aging and can be sent to Lucas-Batton, 476 S. Sandusky Ave. Upper Sandusky, Ohio 43351.